According to our exclusive global survey, around 33% of homeowners love to paint with bright colours. If you’ve just moved house, bold tones are a fantastic way to put your own personal stamp on your new pad. But which Dulux colours to choose? When Catherine Dawson moved into her new apartment she was struggling to pick the right colour for her living room walls – until her eyes came to rest on a photograph on her fridge door. 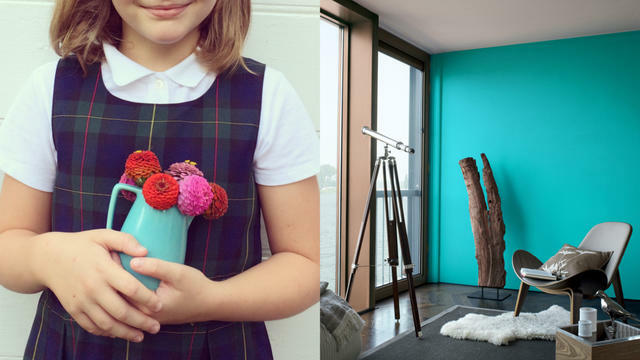 Once you start thinking about it, you’ll find colour inspiration everywhere you look. 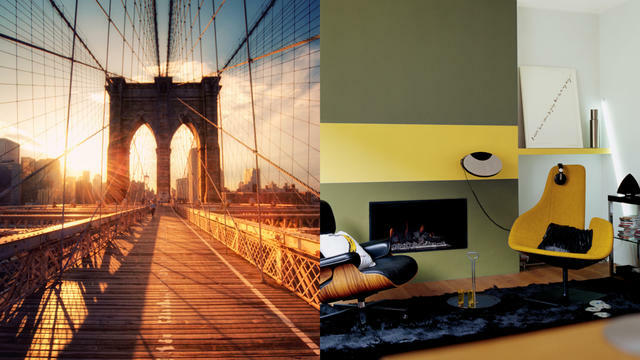 Here are a few more bold and beautiful colour schemes you can steal from the things you see around you. 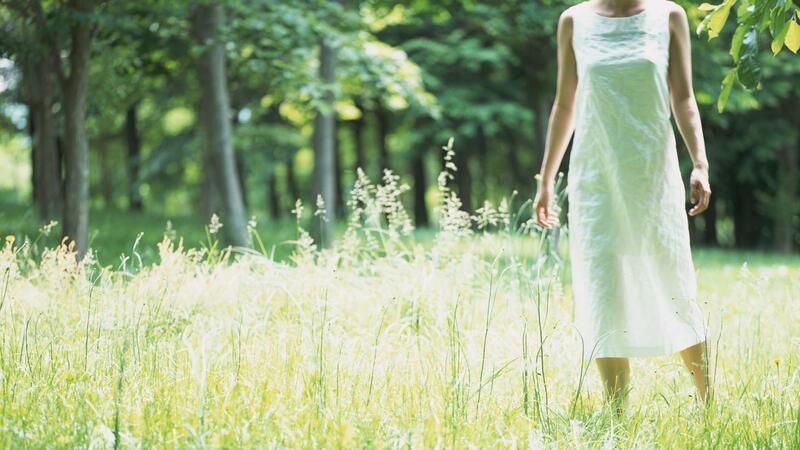 Whether it’s a forest where you like to go for walks, your local park or even a plant on your window sill, nature has lots of inspiration to offer. 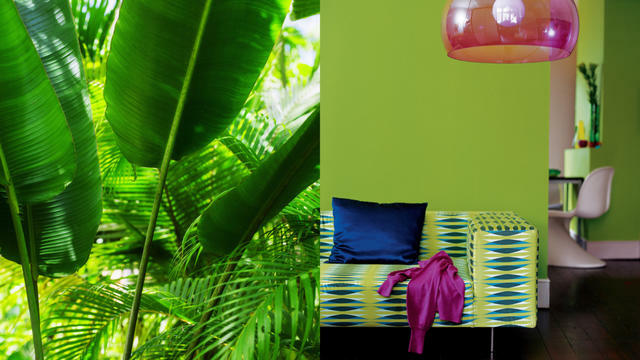 Inject energy into a space with tropical greens broken up with bright splashes of accent Dulux colour. Cities are jam-packed full of colour ideas to copy. Create an edgy, urban decor with pops of neon alongside an elegant grey, or take inspiration from the city skyline at sunset for a warm, laidback vibe. 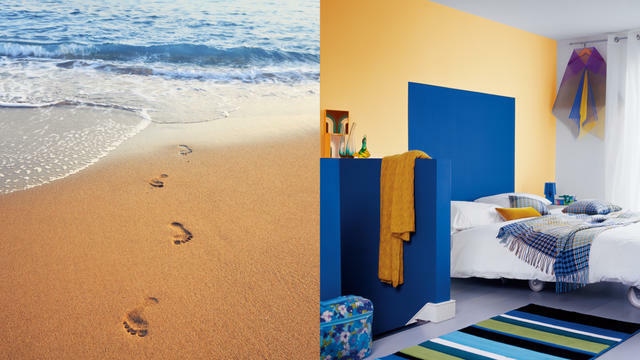 Bring that holiday feeling home with you by painting your walls in cheerful beach-inspired Dulux colours. Sandy yellows and ocean blues look great together and evoke the invigorating atmosphere of the seaside. This could be a painting by your favourite artist, a colourful ornament, or a souvenir you brought back from your last holiday. Use your treasured object as the starting point for your colour scheme and you’ll find it hard to go wrong. 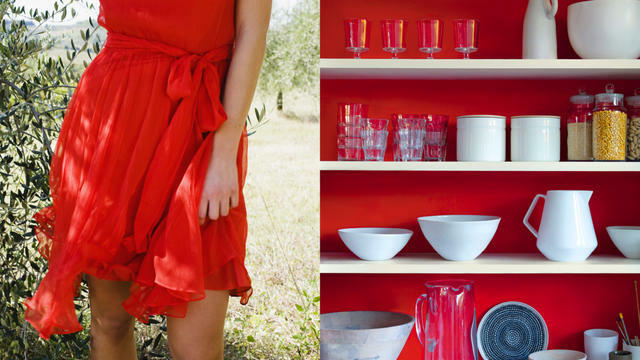 Your little red dress or favourite blue shirt could be the key to your decorating colour scheme as well as your outfit. If you like the colour but are worried it’ll be a bit much on your walls, just paint one feature wall – behind a headboard, for example – or use it as the colour for your window frames or a statement piece of furniture. Still struggling to pick your colours? Use the Dulux Visualizer app to help you make the perfect choice and get a sneak peek of what your room will look like once it’s painted.